Quantitative reconstructions of mean July temperatures (T jul) based on new and previously published pollen-stratigraphical data covering the last 2000 years from 11 lakes in northern Fennoscandia and the Kola Peninsula are presented. T jul values are based on a previously published pollen-climate transfer function for the region with a root-mean-square error of prediction (RMSEP) of 0.99°C. The most obvious trend in the inferred temperatures from all sites is the general decrease in T jul during the last 2000 years. Pollen-inferred T jul values on average 0.18 ± 0.56°C (n = 91) higher than present (where “present” refers to the last three decades based on pollen-inferred T jul in core-top samples) are indicated between 0 and 1100 AD (2000–850 cal year BP), and temperatures −0.2 ± 0.47°C (n = 78) below present are inferred between 1100 and 1900 AD (850–50 cal year BP). No consistent temperature peak is observed during the ‘Medieval Warm Period’, ca. 900–1200 AD (1100–750 cal year BP), but the cooler period between 1100 and 1900 AD (850–50 cal year BP) corresponds in general with the ‘Little Ice Age’ (LIA). Consistently with independent stable isotopic data, the composite pollen-based record suggests that the coldest periods of the LIA date to 1500–1600 AD (450–350 cal year BP) and 1800–1850 AD (150–100 cal year BP). An abrupt warming occurred at about 1900 AD and the twentieth century is the warmest century since about 1000 AD (950 cal year BP). This is one of fourteen papers published in a special issue dedicated to reconstructing late Holocene climate change from Arctic lake sediments. 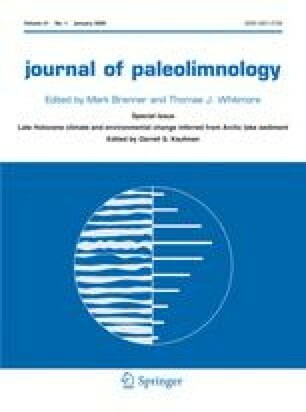 The special issue is a contribution to the International Polar Year and was edited by Darrell Kaufman. We thank Cathy Jenks for preparing Fig. 1. Sylvia M. Peglar is thanked for providing unpublished pollen data. Financial support was provided by the Norwegian Research Council for the work in northern Norway and northern Sweden. H. S. acknowledges financial support from the Academy of Finland (HOT-project). We are grateful to the three anonymous reviewers and Darrell Kaufman for their helpful comments. This is publication no. A 194 from the Bjerknes Centre for Climate Research.